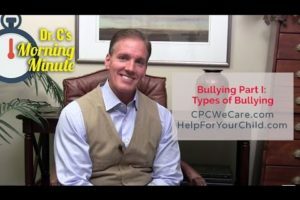 In Part I of a 3 part series about bullying, I introduce the series by talking about the different types of bullying and the traditional viewpoints regarding them. Learn more by watching today’s Morning Minute. Feel free to request a topic of your choice by emailing me at jcarosso@cpcwecare.com.